On Christmas morning, Theresa May will head to church in her district of Maidenhead like she does most Sundays and though she’s reluctant to talk about her Christian faith publicly, it is deeply held. That’s something the U.K. prime minister shares with two of the people most committed to bringing her down. Together, Jacob Rees-Mogg and Steve Baker run the European Research Group, the most powerful caucus of Conservative members of Parliament. 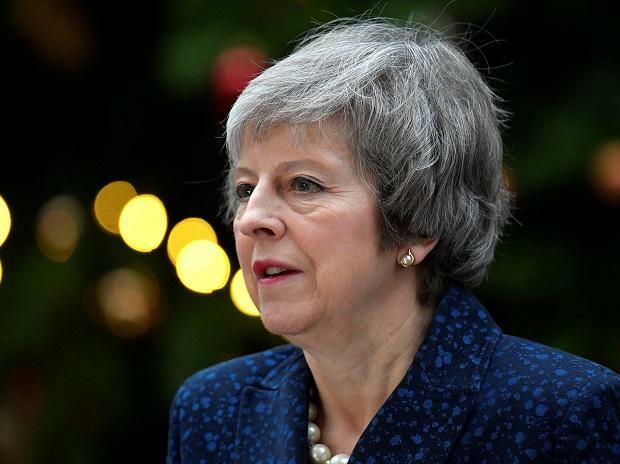 They’ve been an effective double-act pressuring May to adopt a harder stance in divorce talks with the European Union and, while they failed to bring her down this month, they still look likely to kill the deal she’s negotiated. But if they’d been alive five centuries ago, they would probably have wanted to burn each other at the stake. Rees-Mogg is a Roman Catholic who is fond of a Latin mass, while Baker is a Baptist and occasional lay preacher. As England swayed back and forth between Catholic and Protestant ascendancy in the 16th Century, prominent members of the different Christian traditions found themselves moving from government to prison – and, if they were lucky, back again. Most people in England were happy to go with the flow and be Catholics or Protestants as instructed by the government. But not everyone. The country produced a crop of martyrs from both sides who refused to bend. For them, it wasn’t worth living if the price was denying their faith and losing their place in Heaven. The eventual solution was to make the Church of England into a place where it was possible to practice more or less any flavor of Christianity under an umbrella of unity. May, whose father was a Church of England vicar, is a product of that Anglican compromise. She has approached Brexit in an Anglican spirit, trying to keep everyone on board by being vague about what she believes and offering pieties that reassure all sides. Now that she has reached a deal, May is selling it as a compromise. It doesn’t give everyone everything they wanted, but it gives most people something. Her pitch to the ERG is that if they block it, they risk getting no Brexit at all. But the ERG aren’t interested in compromise and say May’s Brexit is no Brexit at all. Getting Britain out of the EU is fundamental to their political identities and, just as their spiritual forbears weren’t prepared to deny their faith to save their lives, Rees-Mogg and Baker won’t sign up to a political fudge. Most politicians take the view that you have to be willing to bend a little in order to secure power: It’s more important to win than to be pure. May’s problem is that she’s dealing with people for whom it’s more important to be pure than to win. The English Reformation, as the split from the Roman Catholic church is known, created bitter divisions that lasted for centuries. Brexit, another attempt to reclaim control from a European supranational body, has also split Britain in ways that are not yet fully understood. Within May’s Conservative Party, cabinet ministers are judged by different factions mainly on their perceived beliefs. And, as in the Reformation, some are willing to switch sides to curry favor with their colleagues in the race to succeed May as party leader. The question is whether those who recant their past statements and declare themselves Brexiteers can convince the True Believers.